1080° Wheelie for the first time ever in the Qatar Dunes! Sand Cars Unlimited together with CBM Motorsports build this insane Twin Turbo LSX buggy, putting out 1,600 horsepower and 1400 ft-lbs of torque. The driver has some great skills as well as keeping this machine under control. 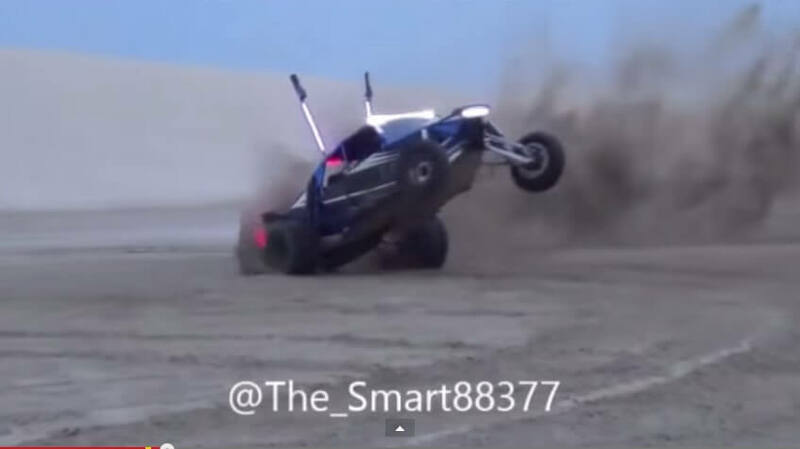 Watch this sand rail demonstrate its insane torque as it does wheelie donuts on sand. With some proper weight distribution and huge paddle tires, this sand rail appears to do wheelies with ease! Witness this insane piece of machinery and the driving skills that are showcased in the video!!! The Worst Motocross Wrecks Of 2015 So Far – Learn From Their Mistakes! Indian Scout Off-Roader By Premium Motorcycles!! The ultimate American Muscle car, 1969 Dodge Charger!